MCIA Celebrates Over 25 Years of Excellence! 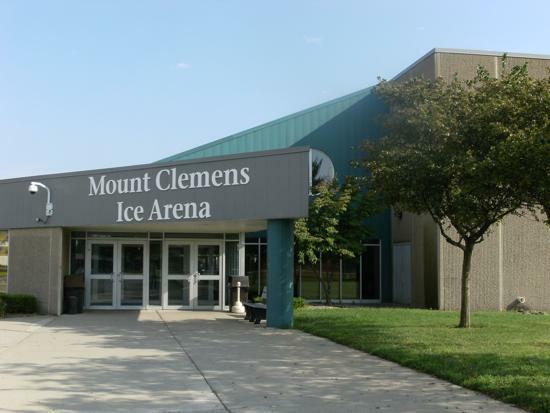 The Mount Clemens Ice Arena is owned by the City of Mount Clemens, and is managed by RT Arena Management, LLC. The facility is open year round for your skating enjoyment. 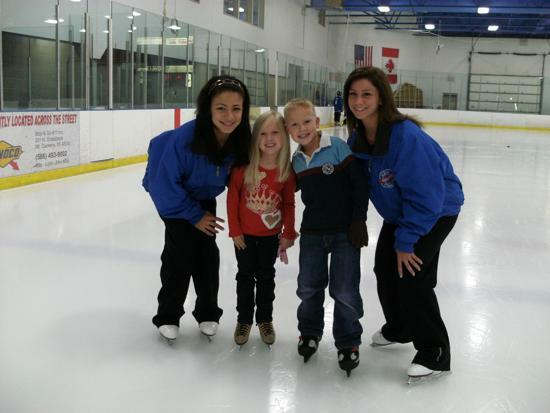 We offer ice skating to the community as well as youth hockey through the Mount Clemens Hockey Club, adult hockey through Michigan Sports Enterprises, and figure skating programs taught by a professional coaching staff and members of the Mount Clemens Figure Skating Club. We are proud to provide our customers quality programming in a clean, safe and well-maintained facility. Our mission is to provide exceptional service with a courteous, well trained and family orientated staff. We are pleased to announce that we have partnered with 2SP Sports Performance to manage our newly renovated workout area. They will offer professional, certified off-ice training to the young athletes at our arena and beyond. For more information, please contact Cody Smith cody@2spsports.com or visit their website http://www.2spsportsperformance.com. The Mount Clemens Lady Wolves have partnered with the Detroit Red Wings to host a "girls only" learn-to-play clinic at the Mount Clemens Ice Arena. The program is designed for the first time player, ages 5-8. 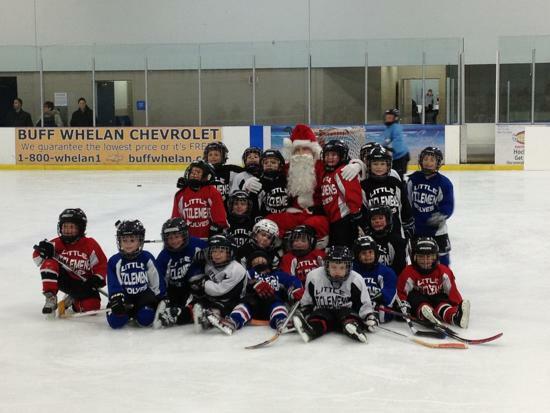 In addition, each participant receives a full set of hockey equipment. For more information and to register, please visit http://www.detroitredwings.com/littlewings. Have you ever wanted to play hockey, but you weren't sure about it? 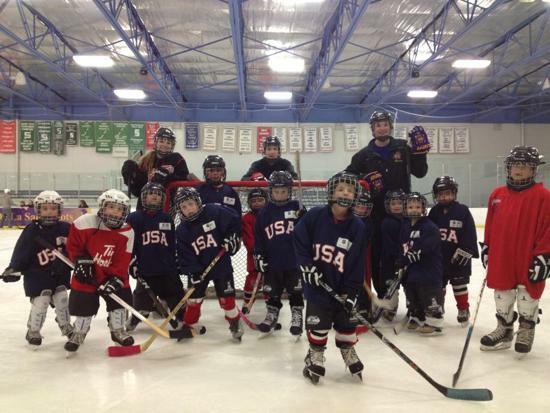 The Mount Clemens Hockey club is offering the opportunity to try hockey out at NO COST!! Open to ages 4-10. If you do not have equipment, it will be available for you! May 11th at 1pm. See flyer below for more details. Please contact Andy Wade at andy@mountclemensicearena.com if you're interested or have any questions. Limited to 24 skaters and 4 goalies/group. Please see the flyer below for registration details. We are striving to provide the best facility for you and your family's future enjoyment. Here are a few of the projects we have recently completed. Thank you for your continued patronage! We are now accepting registrations for Session 5 Learn to Skate. It will run from May 8- June 15, 2019; ages 3- adult. This will be a shortened session with six weeks total, no Bring a Friend week. Please see the brochure below for more information and to register. Online registration is not offered for this session. Give the gift of skating! Learn to Skate classes are a wonderful way for kids and even adults to gain confidence and achieve goals. Please see a manager for class gift certificate options.